Want it by Wednesday 24th April? Order within 3 days, 12 hours, 16 minutes and choose Special Delivery 24 Hour Delivery (Signature Required) at checkout. The perfect boot to suit any occasion the Heeled Regina from Fairfax and Favor is an extended version of the classic Regina with a 5cm Cuban heel. Adding extra elegance and lift to any look. 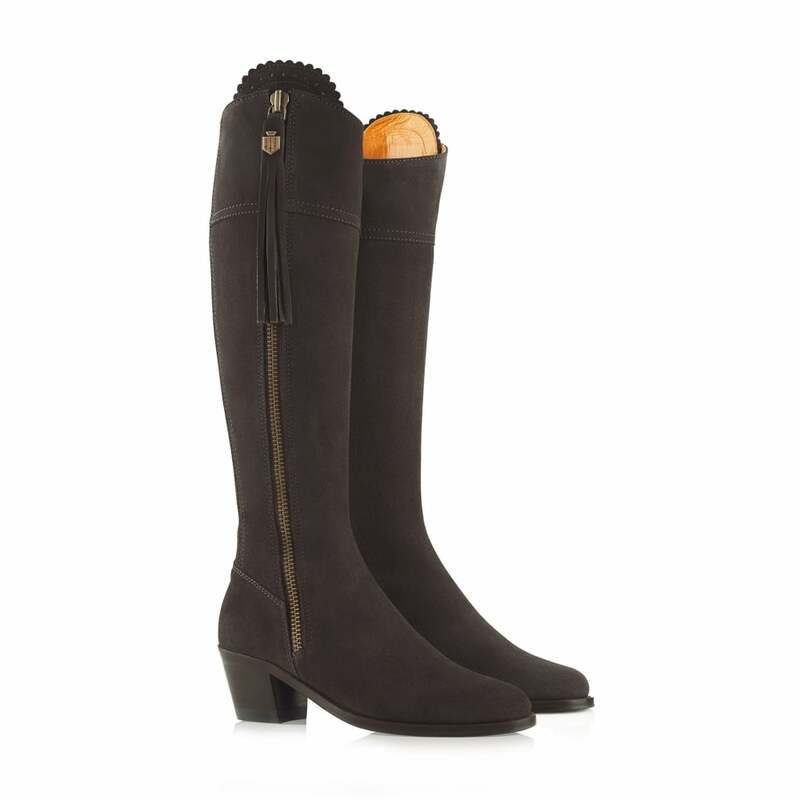 Creating using a soft suede exterior and lined with luxurious leather these boots feature a 6cm elasticated stretch panel at the rear. This enables the boot to fit perfectly around your calf. Designed with a memory foam insole and a leather/rubber composite sole with creates ultimate comfort and longevity. Perfect with jeans or dresses these boots are sure to be an iconic item in your wardrobe.